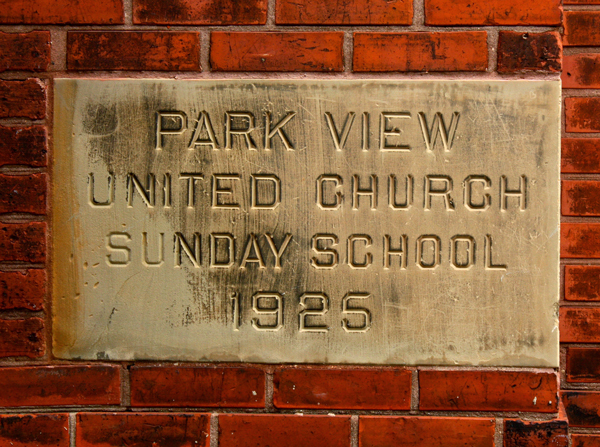 On Thursday Oct 29, 1925 the cornerstone was laid for the new Parkview United Sunday School. Unusually cold and snowy weather had plagued Perth County for the preceding month. 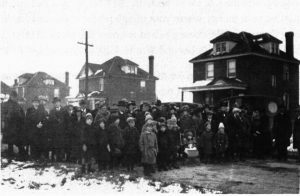 Even the Perth County Plowing Match had to be postponed because of the large amount of snow that fell in early October. By the end of the month the weather had moderated but snow still lay on the ground and the winds were brisk and raw. The organizing committee decided to continue with their plans for an outside worship service and dedication of the cornerstone. 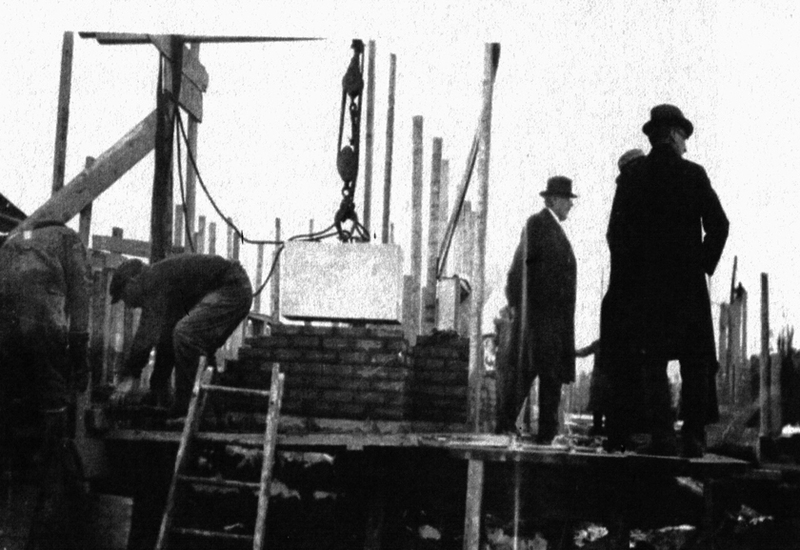 A large crowd gathered for this historic occasion, braving the cold, gray day. 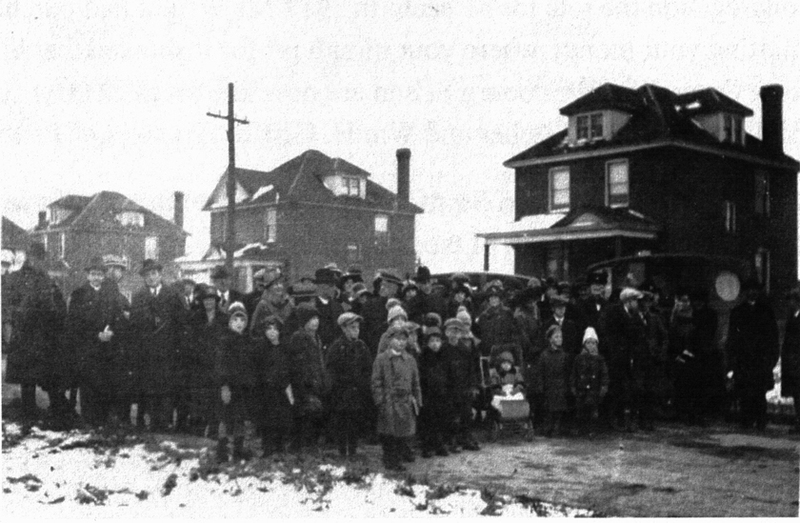 Photographs show a crowd of the faithful, bundled up against the cold winds, filling King St (now Parkview Dr) near the building site.